The vast majority of us learn how to ride a bicycle from a young age and for many it is their first 'big' achievement as a child. I have a very clear memory of my own father teaching me how to ride a bike on the country lanes, shouting "PMA" (positive mental attitude) at me before I went head first into a bramble bush! Since then I have thankfully improved in skill and no longer find myself entangled in the British countryside, instead i'm safely cycling to work on a daily and heading up exciting cycling awareness campaigns down south! Did you know that on a bike you can go twice as fast as a car in traffic and it imporves your health so much that a middle aged cyclist is typically as fit as someone ten years younger!? Can't go far wrong with those statistics! There are many reasons to love cycling, it's a cheap way to travel, you don't have to worry about the parking and quite simply, it's a lot of fun! 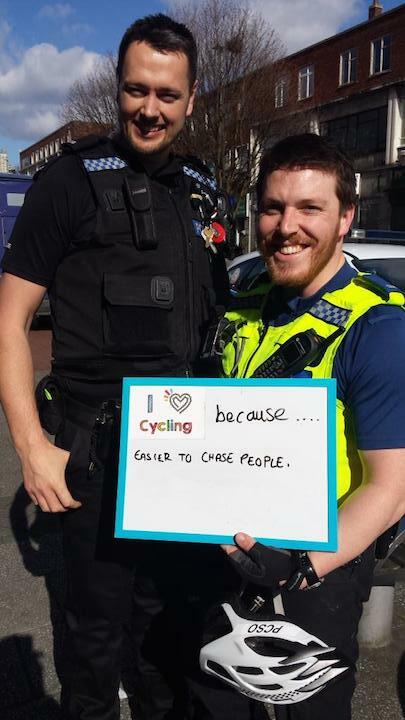 Our team of street ninjas decended on the city of Southampton in March 2015 to find out exactly what it is that people love about cycling. This use of Chalk Advertising got people thinking and sparked curiosity....people really wanted to know what was going on! 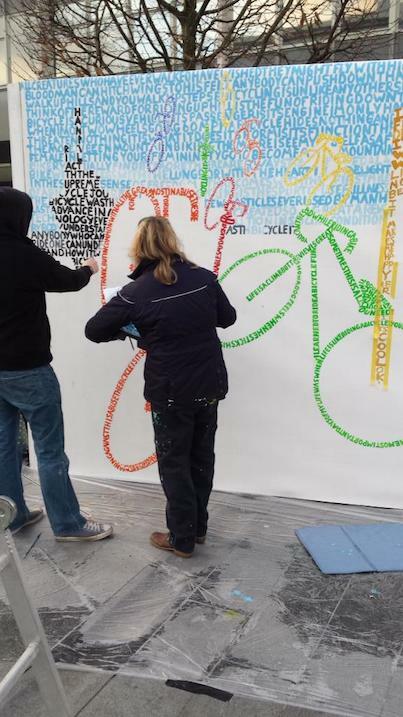 The awesome truth was that we were planning on turning the people of Hampshire's words of wisdom and love for cycling into a bespoke piece of art in the Guildhall Square for My Journey Hampshire! We started off with a very blank canvas, a 6 by 3 meter empty message wall which felt like a HUGE challenge...but guess what!? Here at Street Advertising Services we love a challenge! 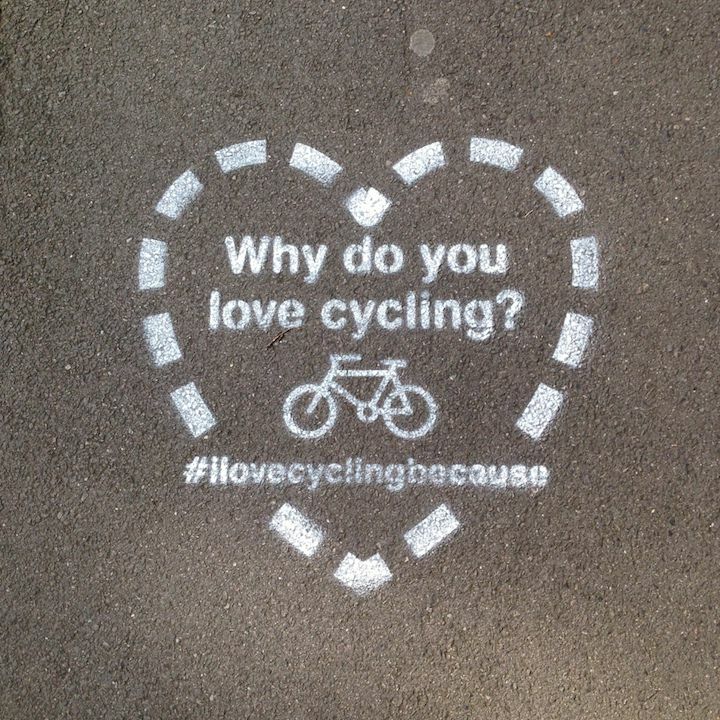 #ilovecyclingbecause. 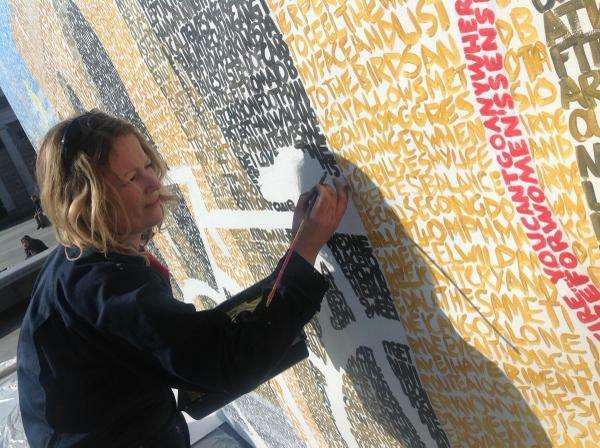 These quotes were painstakingly live painted onto our 6 by 3 meter message wall by our team of artists. As the week went on the image grew and transformed. 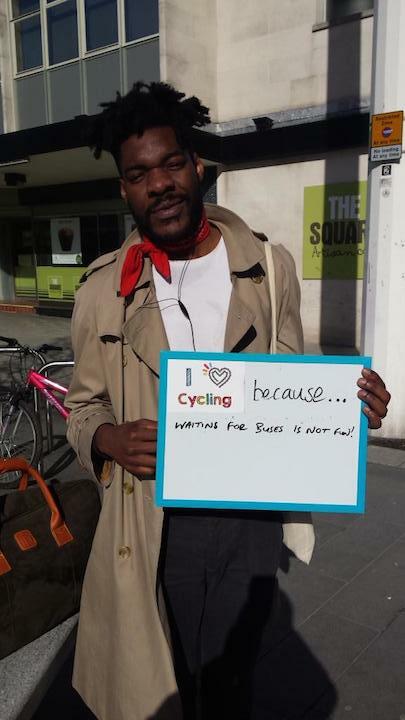 We had such great responses from passersby and more and more people wanted to contribute their love for cycling which was a wonderful feeling for ourselves and My Journey Hampshire! This campaign stood out as a great success from the very beginning. This element of the campaign was managed by our dedicated Social Team at Street Advertising Services. The picture below sparked a lot of conversation online! The end product was really stunning and attracted many people trying to find their own quotes and wanting to chat to the artists! 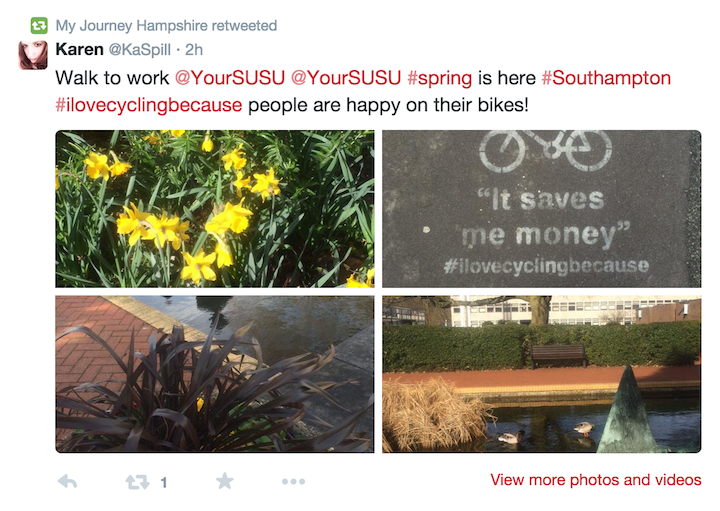 Everyone was proud of what we achieved in Southampton for My Journey Hampshire. 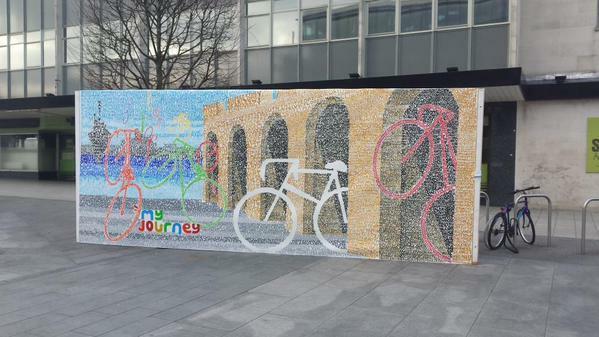 Our cycling message wall became such an attraction in the Guildhall Square that the local press covered its progression and we even had a few blog entries dedicated to us! 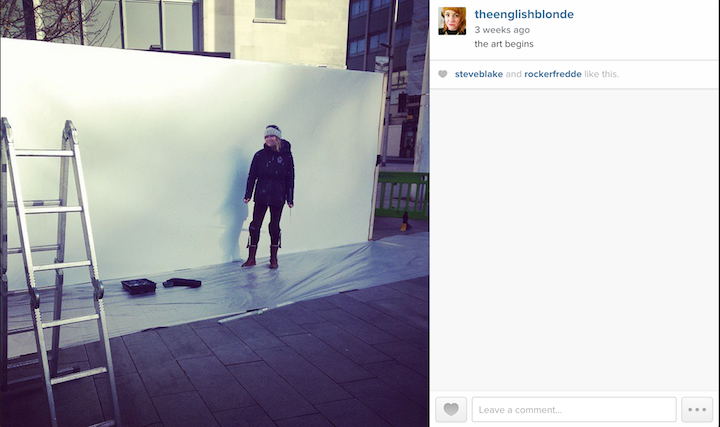 This was a fully integrated campaign which used a strong social media element, artistic talent for both the message wall and Chalk Advertising and time lapse technology to reach out to the public, spark conversation and really make a difference! If you think that you that this is something that you want for your brand then do get in touch! 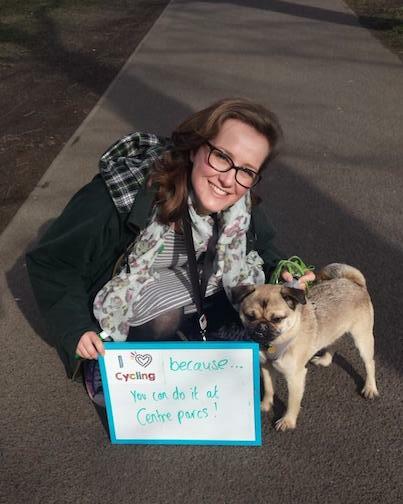 Keep your eye out for future campaigns which will be wowing everyone with their own unique message wall! I'm sure as you know us so well you know that we aren’t stopping there! We have further activity booked in all before the end of June with My Journey Hampshire which includes Projection Advertising, targeted leaflet distribution and a digital marketing campaign! So keep checking back to see how we are continuing to help the people of Hampshire to express their love for man powered wheels and the open road!